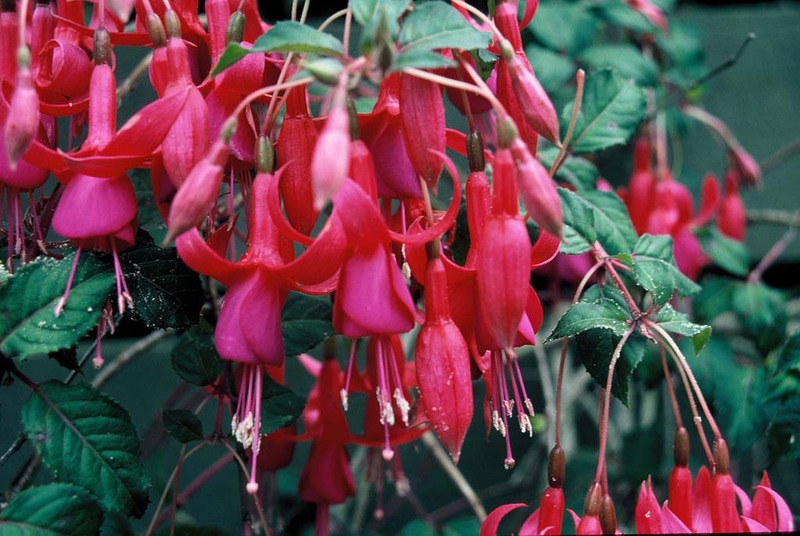 MORPHOLOGY & CULTIVARS – The National Fuchsia Society of New Zealand Inc. The following drawing, together with the botanical terms for the different parts of the flower, will assist in the identification and naming of various parts that make up the complete flower. 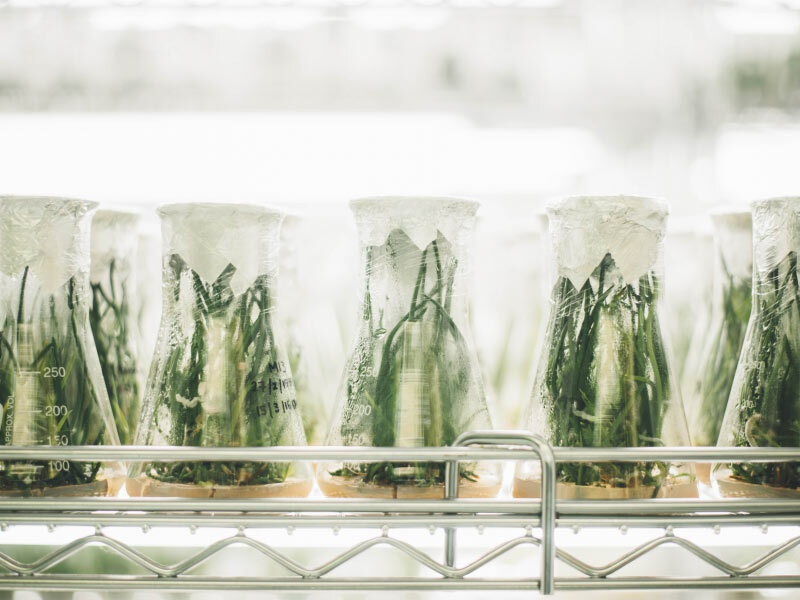 Anther – The male part of the flower which bears the pollen grains, is attached to the flower by a stem known as the Filament, that, together with the Anther, is called a Stamen. 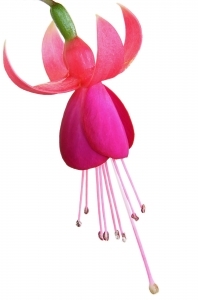 Calyx – The Sepals of the fuchsia, the outer covering of the flower. Corolla – The inner circle or whorl of coloured petals below the Calyx, the most conspicuous part of the flower. 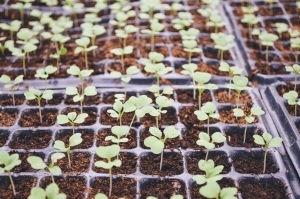 Ovary – Vessel containing the seeds of the plant, the seed berry or pod. Pedicel – The stalk or stem of the flower. Petal – A division of the Corolla of a flower. Petiole – The stalk or stem of the leaf. Pistil – The female part of the flower; collectively Ovary, Style and Stigma. Pollen – The male fertilizing dust of flowers, produced on the Anthers. Sepal – The separate divisions of leaves of the Calyx. Stamen – The male organ of the flower consisting of the Anther with its Pollen and supporting stem (Filament). Stigma – The head or top of the Pistil. Style – The stem bearing the Pistil. Tube – Part of the flower containing the Pistil and forms the Calyx bearer. 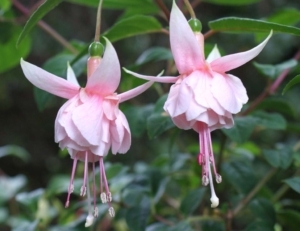 All fuchsias have four sepals and eight stamens, but not all fuchsias have a corolla. 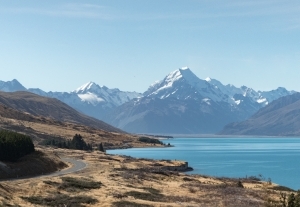 For example, F.procumbens, a New Zealand species, has none. 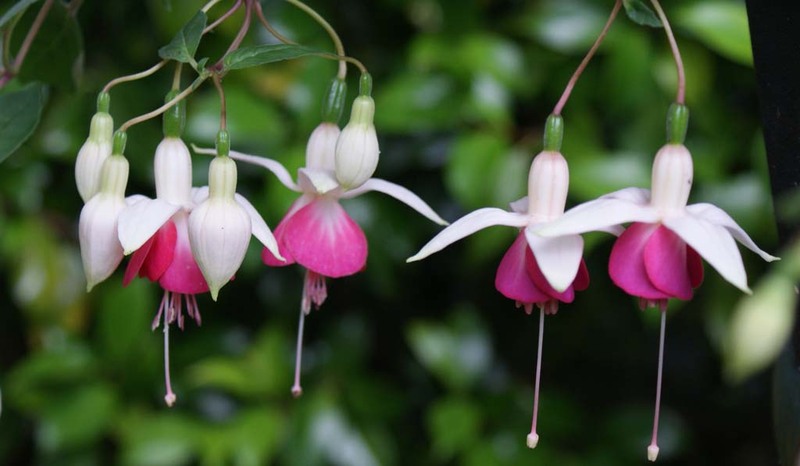 Sometimes a fuchsia will appear with five sepals or even six, however this is then not a perfect blossom. A SINGLE flower has four petals in the corolla. A SEMI-DOUBLE has five to seven petals in the corolla. These variegated fuchsias give added colour to your garden and you are recommended to try them. Grown successfully, they are beautiful indeed.